Scheduled for termination this month, online multiplayer support for NBA 2K11 is being extended until April 2012, another tacit acknowledgment by 2K Sports of the ongoing problems in NBA 2K12's online feature set. 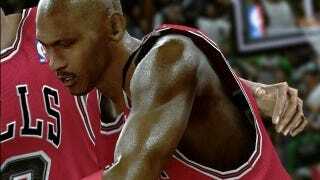 Last week, 2K Sports said it was taking down the servers for last year's game, barely a year after release. While 2K Sports decline additional comment to Kotaku, the extension of multiplayer support in 2K11 can be taken as a concession to gamers who have found more reliable connections through last year's game. This year, the NBA 2K franchise adopted an entirely new online codebase, requiring multiple patches and causing considerable angst among gamers trying to find a match online. 2K Sports communicated the notice to gamers earlier today, spelling out all other titles which currently have multiplayer capability. Amazingly, NFL 2K5 still is listed as a game with functional online multiplayer support.